This past February, attendees to APA's Winter Education Conference had the chance to hit the dance floor and support the Safety & Education Foundation at the same time. Thanks to Phantom Fireworks, nearly 200 industry colleagues enjoyed a lively after dinner party at Losers Most Wanted Bar in the MGM complex. Nearly $5,000 was raised to help ensure that the Foundation's safety message continues to be shared among youth educators and the public at large. This past March, Foundation advisor Inez Tenenbaum and Executive Director Julie Heckman, exhibited at the National Afterschool Association's (NAA) conference in Atlanta, promoting the APA's Safety & Education Foundation's curriculum. The NAA is a membership association for professionals who work with youth in diverse school and community-based settings, providing them a wide variety of extended learning opportunities and care during out-of-school hours. 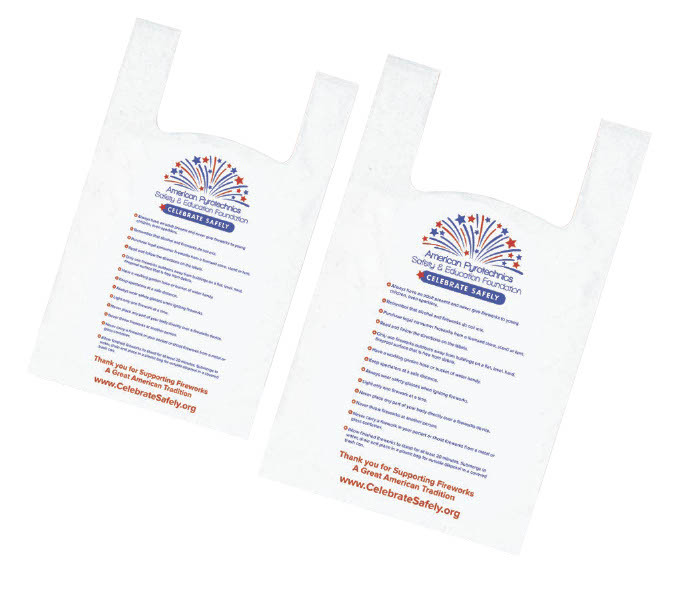 As you prepare for July 4th, please remember that retail plastic shopping bags with the Foundation's safety tips are available through Pyro Novelties. The company has generously offered to make a $1 donation to the Foundation for every case of bags sold and we are most grateful to owner Katherine Guccione for this support. We're pleased to announce that Kevin Gilfillan, Pyro Spectaculars has been named Foundation President, having previously served as Vice President since the Foundation's inception. 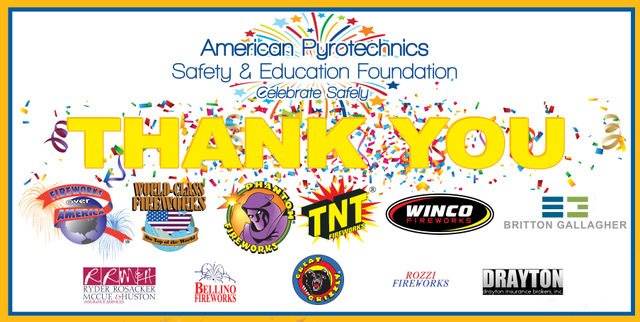 Jason Trout, TNT Fireworks was elected to fill the position of Vice President. Herb Chan, United Pyrotechnics and Kurt Cowgill, North Central Industries will remain in their current positions as Secretary and Treasurer for another year. We also welcome new Board member Jessica Moore, Phantom Fireworks. A complete listing of the Foundation Board may be found here.